Over the past few years, there have been a number of occasions when a sufferer of MS (Multiple Sclerosis) or someone who has had a brain injury or a stroke has contacted me to ask if I would provide them with a Juggling lesson. They have been advised by their Doctor that learning a new skill that they have always wanted to try (so that they will look forward to it) will aid them in managing their health or aiding their recovery. This helps them to create new (and much stronger) neural pathways in the brain instead of spending time re-learning actions that they used to know. Learning a new skill from scratch inspires confidence in ability to learn other new skills and can consequently lead to improvement in cognitive capabilities. 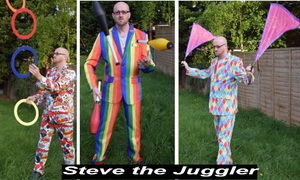 A 1hr private juggling lesson with one-on-one tuition at your own home (I will come to you) can be arranged. 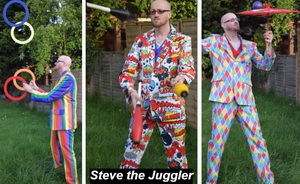 If you don’t live nearby, then I will happily try to point you in the right direction of another juggler, so please contact me anyway! 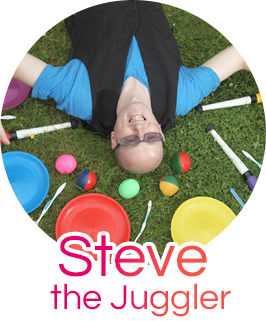 For more information about the Physical, Social and Educational Benefits of Juggling (along with lots of research to back up all the claims), please visit my Benefits of Juggling and Circus Skills page.